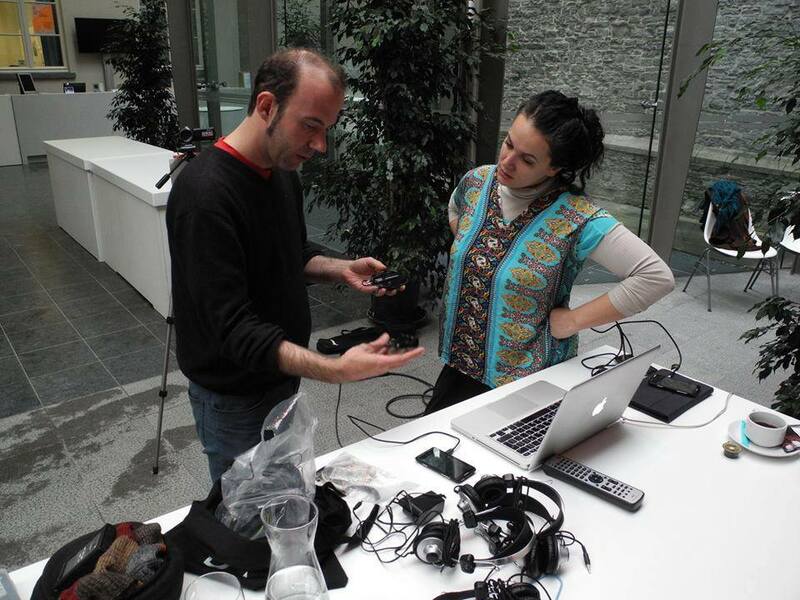 Αkoo-o is a group of artists and researchers that use sound and mobility as vehicles of expression and social inquiry. They come from different fields, such as visual arts, cultural studies, musicology, anthropology, literature, sound design, music composition and performance. Their work is based on research and includes the process of collaboration through workshops and participative, creative collaborations. Since their meeting in 2013 they have worked on common projects and engaged in vivid discussions that involve an interest on sound, mapping, promenadology, the relation between the arts, technological mediation and the city. 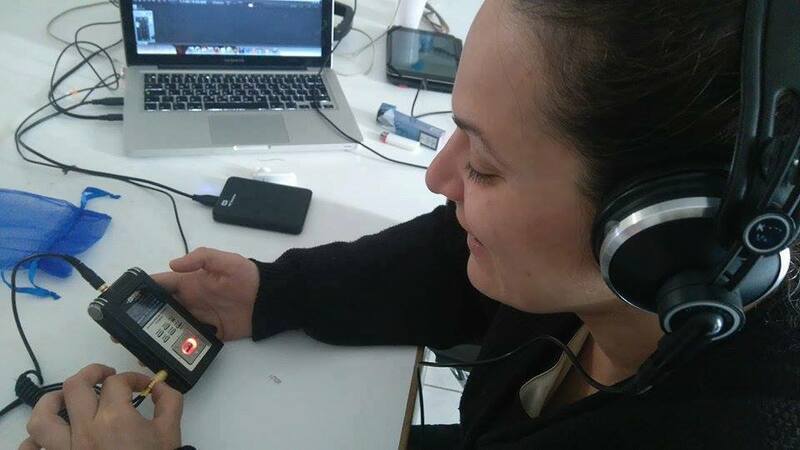 In Sound Acts they held a workshop in which participants came into contact with the process of producing a soundscape, sound design, noise mapping and the theoretical framing of site-specific artwork and strollogy by using innovative locative media.